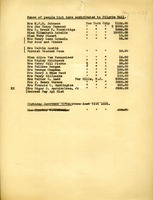 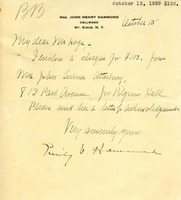 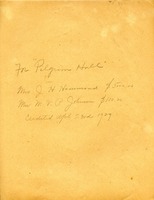 This letter encloses a check for $100 from Mrs. John Turner Atterbury for Pilgrim Hall. 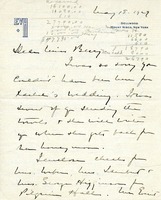 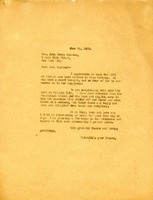 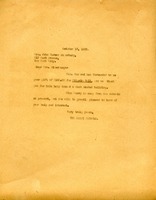 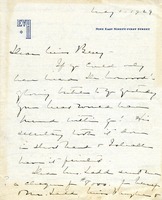 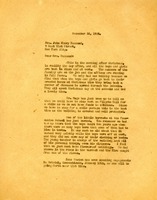 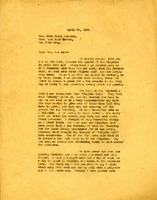 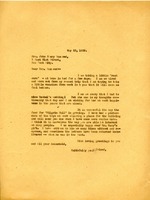 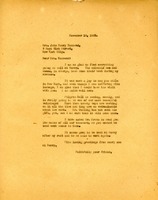 This letter from the Berry Schools receives R. Fulton Cutting's donation in Miss Berry's absence and thanks him for his help in building Pilgrim Hall. 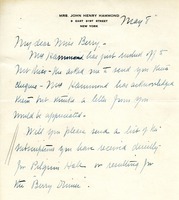 This friend of Berry is donating $5,000 to fund the building of Pilgrim Hall. 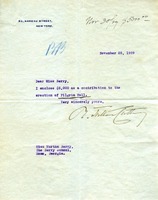 This letter is a thank you letter to Mrs. John Turner Atterbury for her donation of $100 toward the building Pilgrim Hall from the Berry Schools.